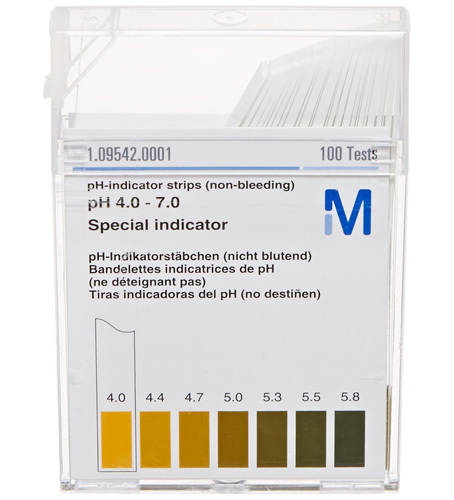 We test our pH quite often from the start to end of the brewing process from grain to bottle (often as many as 20 times when it's a new recipe) so pH test strips actually cost more in the long run. (Most home brewers that use pH strips only use them to measure mash pH, and while that's likely the most crucial point during the beer making process for an accurate pH level, it's not the only one). Strips are not temperature compensated so samples must be cooled to room temperature before use. This greatly slows down the brewing process. Our pH meter is temperature compensated up to 140F. pH strips are very slow to return a result. You have to wait until the colour stops changing which can take up to 10 minutes! A pH meter only takes seconds. And most importantly: Strips are not as accurate. The colour gradients appear so similar that in practice you'll be lucky if you can even get to +/- 0.6 pH accuracy. Take a look at the picture below. It's the color coding to which you have to try and match what you see on the strip of paper. The colours look almost identical in the important 5.0 to 5.5 range making to hard to tell exactly what your pH actually is. A pH meter accurately measures down to a resolution of 0.01 pH and gives you the result in numbers, not ambiguous colours. Every brewer we know that bought a box of test strips still has most of them left as they have simply stopped using them. 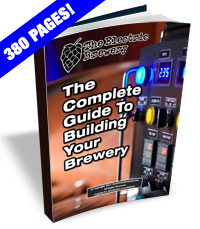 Proper control of pH is a critical step to brewing any style of all-grain beer consistently and successfully. This simply cannot be done without an accurate method of measuring pH. We recommend the Hanna Phep 5 pH meter (model HI 98128).